Interface is ensemble-in-residence at the 2017 VIPA Festival. Applications for the composition program are open until 15 February (late term). 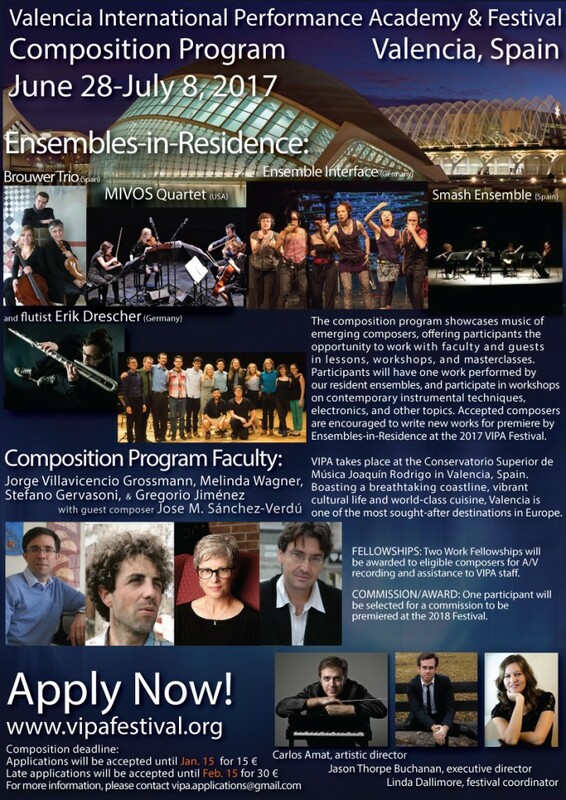 Participant composers will have one work performed by the resident ensembles (including also Smash Ensemble, MIVOS Quartet, Brouwer Trio, Erik Drescher) and participate in lessons and workshops. Faculty includes Jorge Villavicencio Grossmann, Melinda Wagner, Stefano Gervasoni, Gregorio Jiménez, José M. Sánchez-Verdú.